"Hypavera® Can Help Maintain Healthy Natural Blood Pressure Levels"
Up to 60% off Retail. As low as $31.17/Bottle (when ordering a 6 month supply). Do you want to support normal, healthy blood pressure with an all natural herbal product? Are you interested in a supplement that will support normal, healthy blood pressure and keep your libido intact? If you are concerned with your blood pressure, then the book "Your Guide to Lowering Blood Pressure" from the National Heart, Lung, and Blood Institute is a must read. All testimonials are authentic and only edited for spelling errors and to meet FDA guidelines. Try Hypavera® yourself and if you have a story to tell, please let us know how Hypavera® has given you a healthier way of life. 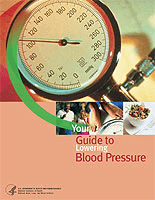 Digital copy of "Your Guide to Lowering Blood Pressure" with order. Everyone with High Blood Pressure should read. I just want to thank you all. I have been taking your product now for about 2 months. I wanted to keep my Blood Pressure at a healthy level. This includes watching my salt and exercising everyday and being very selective to what was worth getting upset about! I searched the internet and ran into Hypavera and I immediately called and ordered the product. As the representative said "give it a chance" I did. Now I can be here for my baby for a very long time. I can't thank you enough! I will be reordering Hypavera in the next few weeks. Just to let you know that i have been using this supplement for many years & I have keep my blood pressure at a very safe level. Since I am 80 years of age & an aerobics instructor & personal trainer I owe my good health to my lifestyle & Hypavera. Keep manufacturing your product. It is wonderful. ! I had been offered and accepted a new job, contingent on a clean physical and satisfactory blood pressure. I had quit my previous job and figured since I worked out everyday and had not been sick, that my blood pressure would be OK. Boy, was I wrong! I saw on the internet your great product and ordered the 6 month supply...2 bottles for the price of one...and with a full ONE year money back guarantee...I had nothing to lose. After taking your product and continuing to exercise, normally as I had... and watching my diet... my blood pressure was in the normal range and I passed with flying colors the physical yesterday and secured the new job! Unbelievable! Thanks to MedcoSouth and Hypavera! I'm a customer for life! "What was I to do to try to help the mother I love? My search for a "natural product " brought me to HYPAVERA. By the time I found the web site, I had studied up on herbs and I knew the value of organic for we were already including as much organic food as possible in our diet. 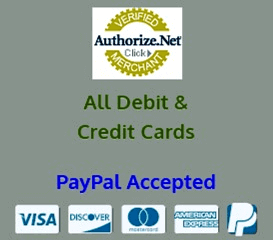 With a steady use of HYPAVERA, when I am placing my reorder from MedcoSouth, I am able to report an astonishing satisfactory level on March 23, 2007." This is a testimonial to Hypavera. I was not a skeptic but hopeful that it would work. As I use Hypavera it is at a normal healthy level. No doubt about this product, it does actually work. Try it for yourself and if not they promise to refund your money. You have nothing to lose. I just wanted to let you know how pleased I am with the results I've had from taking your product. I work in a very stressful environment. After about 1 month of taking Hypavera, I have been able to maintain my blood pressure consistently in the normal range. In 1 short month of taking your product. I can't thank you enough! I'm 42 year old female. My doctor informed me I could maintain my pressure with diet and exercise. So, I began to research natural products to help maintain my pressure in conjunction with a low-sodium diet and exercise. That's when I found out about Hypavera, I was skeptical at first, but I gave it a try not only did it work, but I didn't expect it to work the first week but it did. I consistently took my blood pressure because I have a monitor at home and every time my pressure was in a satisfactory range. I was amazed, so of course the next time I order more bottles and informed my friends and family of my results using this product, so they too can benefit. MUCH THANKS, MedcoSouth. My daughter is a first year nursing student. The Doctor told me that I really should consider some lifestyle changes. I tried to get up in the morning for a walk before work. That did not last long. After taking Hypavera My BP is very satisfactory. My next goal is to drop 25-30 pounds Thank you!! I began trying natural herbal bp support. I called MedcoSouth customer service for suggestions and learned about Hypavera, which I began taking about 2 1/2 weeks ago. Day 4, my blood pressure was normal. My bp has remained steady thanks to the natural diuretic effect of Hypavera. Thanks to Hypavera, my energy has returned and I feel good again. Thanks MedcoSouth for providing such a great product as Hypavera. In addition to Hypavera I eliminated sodium and caffeine from my diet (diet coke) as much as possible and limited my morning coffee to one cup. I also began doing three miles a day on my treadmill. The combination has resulted in normal readings in a week and a half. Relaxation was added for good measure. I just want to say THANKS. Disclaimer: These testimonials are not intended to recommend any supplement as a drug, as a diagnosis for specific diseases, nor as a product to cure or prevent diseases or other medical conditions. We make no medical claims as to the benefits of Hypavera®. These statements have not been evaluated by the FDA. Hypavera® is not intended to diagnose, treat, cure, or prevent any disease. Hypavera® can assist your kidneys in maintaining proper levels of sodium in your body. Hypavera® contains Dandelion, a natural source of potassium, and the only natural herb with diuretic like properties, known to be potassium sparing, thereby helping to eliminate sodium without depleting the essential potassium from your system! Hypavera® ingredients support normal dilatation of blood vessels. This may allow blood to pass through blood vessels more easily and allow the heart to pump easier, thus support normal, healthy, natural blood pressure. Your results may vary from those mentioned above. Garlic provides the body with natural cardiovascular support. Garlic is one of nature's most studied and helpful herbs. Garlic can support normal cholesterol and triglyceride levels. Dandelion supports increased urine production by promoting the excretion of salts and water from the kidney. Dandelion is a rich source of vitamins A, B complex, C, and D, as well as minerals such as iron, potassium, and zinc. Dandelion is potassium-sparing and also a natural source of potassium, a nutrient often lost through the use of other natural and synthetic diuretics. Hawthorn supports normal dilation of blood vessels thereby helping to maintain normal healthy blood pressure. Hawthorn has also been shown to support peripheral circulation to the hands and feet also helping to maintain normal healthy blood pressure. When used for a long period of time (weeks or months), extracts of hawthorn support normal dilation of the blood vessels, including vessels of the coronary system, supporting normal blood flow through the heart and throughout the body. Hawthorn also supports intracellular calcium levels in the heart muscle, resulting in support of cardiac function. Linden flowers help maintain normal healthy blood pressure, promotes healthy arteries, relaxation of your respiratory system. Research suggest that celery seed extracts may have activity in maintaining normal healthy blood pressure and cholesterol. Ginkgo supports peripheral blood flow and proper platelet aggregation. Skullcap has been used for over two hundred years as a mild relaxant and has long been hailed as an effective support for anxiety and nervous tension. Because of its calming effects on the nervous and musculoskeletal system, it can be beneficial in the support for normal heart function. Mistletoe has been shown to support the cardiovascular system. Yarrow supports normal anti spasmodic and inflammation properties and is key to the synergy of the proprietary blend. Valerian is a European herb used for centuries as a calmative for nervous system. The high content of magnesium, calcium and phosphorus in ginger makes it useful for normal, healthy blood pressure. The high content of potassium in ginger provide support to the body for bones, muscles, kidneys, and the heart. In addition to potassium's role in supporting normal healthy blood pressure, it also can help maintain normal heartbeat. Even though each herbal ingredient has specific properties that support normal, healthy blood pressure, it is the precise combination of ingredients that make Hypavera® a success. Hypavera®, like all products from MedcoSouth, is backed by one the best guarantees in the industry. MedcoSouth offers an unheard of full twelve month guarantee. If for any reason you are not 100% satisfied with the results you obtain, simply call for an RMA# and return the unused portion and all empty bottles anytime within ONE FULL YEAR for a 100% refund. No questions asked!! Absolutely no returns will be accepted without a RMA #. Note: You should be cautious of products with a Guarantee that only applies to unopened bottles, or does not also refund your original Shipping cost. Order Hypavera® for as low as $31.17 each. Hypavera® buy two bottles and GET ONE FREE(3 Month Supply)* for an additional 33% saving. *For the first 10 days it is recommended you take an increased serving therefore the first 90 ct. bottle will last 20 days. Thereafter one 90 ct. bottle is a 30 day supply. Hypavera® is intended for use by adults 18 years of age or older. Do not use Hypavera® if pregnant or intending on becoming pregnant. Take only as directed and do not exceed the recommended serving. 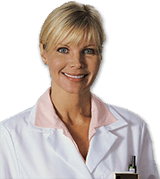 If you are sensitive to herbal products, consult your physician before taking Hypavera®. A small percentage of people could have an allergic reaction to certain herbs. Your health care provider can assist in determining if Hypavera® is appropriate for you.